Posting, tweeting or instagraming photos showing weed use might not be the smartest idea; while it might be socially acceptable, it remains federally illegal and can lead to some serious consequences. As marijuana becomes more widely accepted across the country, social media has exploded with personal images of people enjoying a high. Posting, tweeting or instagraming photos showing weed use might not be the smartest idea, though; while it may be becoming socially acceptable, it remains federally illegal and can lead to serious consequences. Posting a picture of a new bong or pipe is the first thought, or maybe the second thought after usage, every enthusiast has. Showing off a new piece is part of the excitement, but you might want to think twice before uploading that image. Photos showing an item being used to consume weed or photos of a person consuming weed, are enough to prove possession of a controlled substance; a charge that, in some states, still carries felony penalties. While many states plan to vote on the issue during the upcoming elections, currently, only twenty-three states and the District of Colombia have legalized medical marijuana use. However, of those twenty-three, only four states and D.C. have legalized recreational use. To be safe, if you are without a medical marijuana card and not in Colorado, Washington, Alaska, Oregon or D.C. you should not post images showing clear marijuana use. Some states carry heavier penalties than others. A first time offender in Alabama could receive a fine of up to $6,000; repeat offenders face felony charges and up to five years in jail. Idaho carries a fine of $1,000 for first timers, with a five-year jail sentence for repeaters. 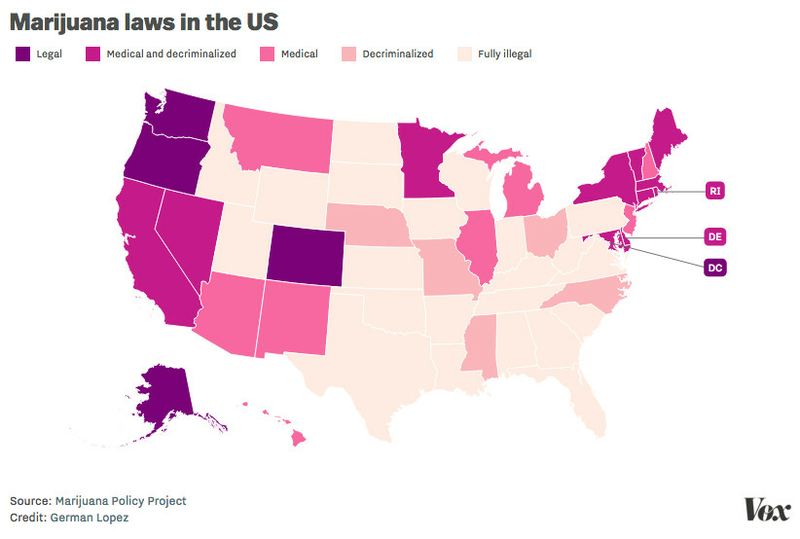 Taking a photo using weed in any way is still incriminating in most of the United States. It documents and provides evidence of possession of a controlled substance, among other charges, depending on what the image shows. If something must absolutely be shared. faces can be blurred or cropped out, lessening the chance of any severe repercussion. Not only can professional opportunities be lost due to posting images of weed, but personal lives can be affected as well. Even if an account and posts are made private, there are still ways for them to be seen. Pending court cases, child custody battles, and even minor traffic violations can have outcomes greatly altered if there are images of weed usage on a personal social media page. In the long run, it is much safer to enjoy your experience, than to document it. Leave the photography until after the high kicks in and it’s all smiles. Do you think people should post photos while indulging? Let us know on social media or in the comment section below.